Public Bulletin Summer Special: kids golf free on Friday's with a paid adult! 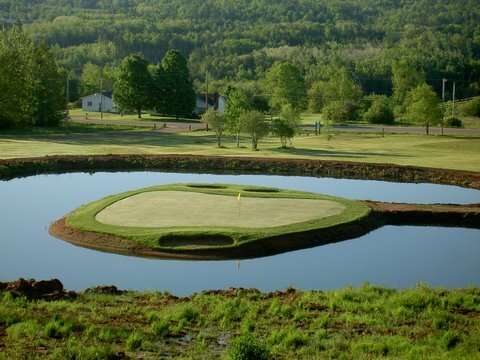 Island Green Golf Club is a licensed golf facility located in Nova Scotia, in the beautiful Annapolis Valley near the Town of Kentville. We are members of the N.S.G.A. Come and play our unique golf course and challenge yourself on our signature hole! "Come Golf On Our Island "
The lowest membership rates & green fees in the Valley! We also have the newly added Hummingbird par 3 trail. New for 2018 great for beginners and families . Eligibility Kids golf free on Fridays with a paid adult.